Google's Safe Browsing program proactively protects Chrome users and others from malicious threats online. Despite working on self-driving cars, virtual reality, and other side projects, Google still makes most of its money from the web. 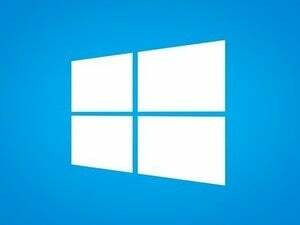 That’s why the company pays so much attention to protecting users from malicious content online. In recent years, Google has beefed up its Safe Browsing initiative to protect Chrome users—as well as users of other browsers—from a wide array of devious online threats. If you’ve ever used Chrome you’ve likely seen this protection before, which appears as a giant red warning screen where you expected to see a webpage. You can still visit the page by clicking through via the details link, but Google’s advice is to stay away until the site creators fix the problem. Why this matters: Advanced users may look at some of Google’s safe browsing actions as overly zealous or reducing user control. But the fact is the Internet can quickly turn into a minefield of threats for the average user. Plus, there’s always the hope that Google’s blacklisting of sites using deceptive behaviors may encourage a good number of them to change their annoying ways. 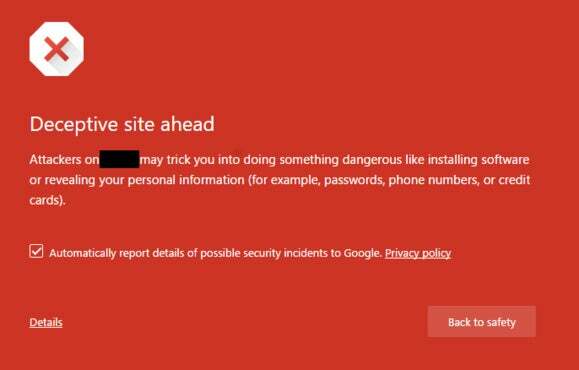 Here’s a look at some of the bigger threats Google has added to its Safe Browsing protection in recent months. In February, Google decided to take a stand against tricky downloads in ads. If you’ve ever visited a mildly unsavory website you’ve seen these tactics many times (sometimes even in ads served by Google itself, ironically enough). Deceptive ads feature download buttons that attempt to appear part of a website’s design, or a pop-up window that looks like it comes from your operating system. Often these ads offer to download a “required” media player or an update for out-of-date software. A year prior to battling ad downloads, Google took a stand against what it calls “unwanted software.” The umbrella term applies to a variety of different scenarios, including software that piggybacks on another installation or software that makes changes to your system such as swapping your default search engine or homepage. One of the earliest defenses Chrome offered against potential problems online was download blocking. Six months before Google introduced warnings against sites containing unwanted software, Chrome “blocked” these programs after you started the download process. When you download a file Google considers potentially malicious, you’ll see a warning in the downloads bar at the bottom of Chrome with a dismiss button and a “Do Not Enter” icon. The warning lacks an option to open the unwanted software, but these downloads aren’t truly blocked since you can still access them from the downloads tab in Chrome, or simply open the file directly. Blocking potentially malicious ads and annoying software is great, but social engineering attacks are also a growing threat online. These are basically advanced phishing techniques that try to mimic a trusted brand, create fake warning pages, or fake logins. 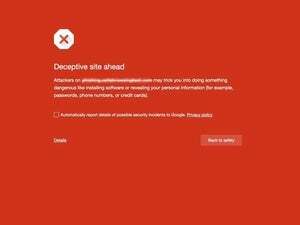 Google started blocking sites with this kind of deceptive content in November.